The Greatest of All Time is heading to the Pro Football Hall of Fame. 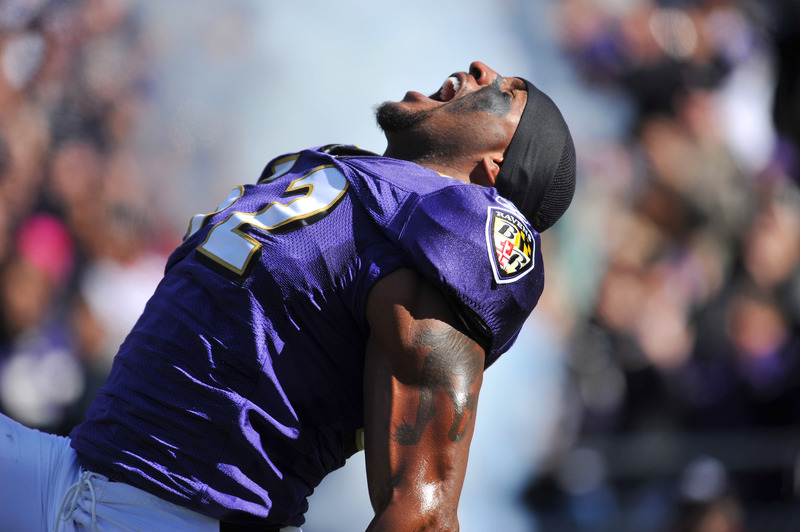 Ray Lewis was voted into the Hall of Fame on Saturday, along with several other NFL legends. Lewis will be inducted into the Hall of Fame this Summer, where he will become the second Baltimore Raven to be inducted into the Pro Football Hall of Fame. The first to be inducted was Jonathan Ogden, the great offensive tackle. Both Ogden and Lewis were the first two players to be drafted by the Baltimore Ravens. Ogden was selected with the 4th pick in the 1996 NFL Draft, and Lewis the 26th pick. Now, both are in the Hall of Fame and entered in the same order as they did the Ravens. Lewis spent his entire NFL career, 17 years, in Baltimore. During his tenure in Charm City, Lewis was recognized as the best middle linebacker in the league. He was selected to the Pro Bowl 13 times and was twice named the NFL defensive player of the year. Lewis was also named a First-team All-Pro player seven times, and a Second-team All-Pro player three times. Perhaps the highlight of his career, Lewis won two Super Bowls with the Ravens. The first came in Super Bowl XXXV. The historic Ravens-2000 defense dominated opponents all season and the Giants in the championship. Lewis was awarded the Super Bowl MVP award. In 2012, Lewis announced he would retire at the end of the season. The Ravens rallied behind him to win Super Bowl XLVII. Additionally, Lewis was named to the NFL 2000s All-Decade Team. On the fifth anniversary of Super Bowl XLVII, Ray Lewis was elected to the Pro Football Hall of Fame. Lewis will receive his gold jacket in Canton along with the other members of the Class of 2018. These players are Brian Dawkins, Randy Moss, Terrell Owens, Brian Urlacher, Jerry Kramer, Robert Brazile, and Bobby Beathard.